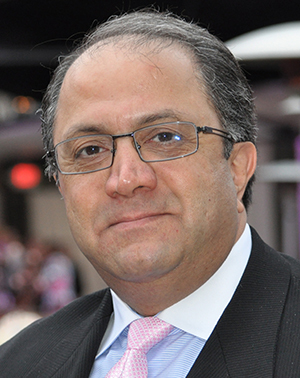 Edmond Rambod, PhD, EMBA – Chairman & Interim CEO. Is a serial entrepreneur, an executive, a Doctor of Medicine and an accomplished inventor. Edmond has more than 20 years of proven executive background and management experience with focus on applications of technological innovations in medicine and creation of intrinsic value for the projects, companies and shareholders. Edmond’s strength is in his multi-disciplinary knowledge and experience, discipline, effective management skills, persistence and systematic approach. He is the founder, current Chairman and CEO of Quantason, a California limited liability company, pioneering in the field of real-time, image-based, hybrid ultrasound and spectroscopy (IDUS™) for target acquisition and positioning. Quantason has perfected the principal implementation of IDUS™ for breast screening and cancer prevention. Under Edmond’s management, Quantason grew rapidly to become a $40M startup. Previously, Edmond served as a senior scientist at the California Institute of technology (Caltech) and an advisor to major medical device and MedTech companies. Subsequently, he founded BioQuantetics, a California Corporation that developed the fundamentals of the dual-mode hybrid platform, conceptually transforming the use of traditional ultrasound for targeted image-based medicine, screening and diagnosis. Edmond has valuable industrial experience and previously served as the Chief Scientific Officer of a publically traded company, National Quality Care, Inc. (NASDAQ: NQCI), where he invented the core technology of extracorporeal renal and cardiac devices, sold to Fresenius Medical Care. Edmond is an expert on cardiac implantable devices and the inventor of several medical technologies and devices including image-based dynamic ultrasound spectrography (IDUS™), wearable artificial kidney (WAK™) and wearable ultrafiltration device (WUD™). He has successfully led and raised more than $75M capital investments for his projects and companies. He is the 1994 awardees of the prestigious Van Dyke Prize of the American Physical Society and co-author of fifty awarded and pending patents. Edmond has multidisciplinary scientific and medical knowledge, has published his work in leading scientific and medical Journals and has lectured in more than 100 national and International scientific, medical and business events. He obtained his engineering and medical degrees from the Technion-Israel Institute of Technology in Haifa, Israel and his executive MBA from UCLA-University of California, Anderson School of Management at Los Angeles. Ellen B. Mendelson, MD, FACR – Medical Director. Is Professor Emeritus of Radiology at the Feinberg School of Medicine, Northwestern University. From 2001-2016, Dr. Mendelson was Professor of Radiology and Lee F. Rogers Professor of Medical Education in Radiology at Northwestern where she was Section Chief and Director of Breast and Women’s Imaging at Northwestern Medicine in Chicago. Her medical training, radiology residency, and fellowship were all accomplished at Northwestern. For many years, Dr. Mendelson has been active in the American College of Radiology (ACR) where she has been a member of the Breast Commission, chairing the Breast Economics Committee. She chaired the ACR committee that wrote the BI-RADS (Breast Imaging Reporting and Data System, 2003) for Ultrasound as well as the committee that prepared and published in 2014 the second edition of BI-RADS for Ultrasound. Her major research interests are in breast ultrasound diagnosis and adjunctive breast cancer screening with ultrasound, and in new technologies. She was a co-investigator of ACRIN 6666, the multicenter study comparing ultrasound with mammography for breast cancer detection in high risk women with dense breast tissue. Dr. Mendelson was principal investigator of a multicenter study comparing breast lesion detection by physician-performed handheld ultrasound with automated whole breast ultrasound. She is widely published and an invited speaker nationally and internationally on breast imaging and image-guided interventional procedures. Dr. Mendelson is one of the organizers of the annually-held CME symposium, “The Chicago International Breast Course” and is also on the faculty of IBUS, the International Breast Ultrasound School. She is co-author with Prof. Helmut Madjar of The Practice of Breast Ultrasound (Thieme, 2008), and currently at work on a new textbook, Breast Ultrasound, to be published by Elsevier. 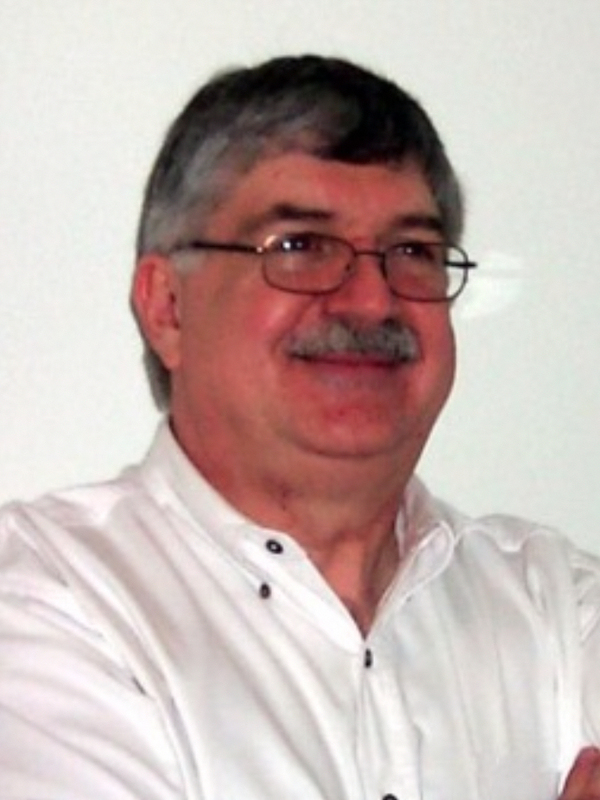 Daniel (Danny) Weihs, PhD – Member of the Steering Committee. Is Distinguished Professor (PhD, Technion, Haifa, Israel 1971) and currently serves as the Head of the Technion's Autonomous Systems and Robotics Program. Some of his extensive previous executive positions at the Technion include Provost, Dean of Aerospace Engineering, Dean of the Graduate School and Head of the Neaman Institute for National Policy Research. Professor Weihs has also served on several Israel’s national and government organizations including Chairman of the Israel National Committee for Space Research and the Steering Committee of the Israel Space Agency. Most recently, he served as the Chief Scientist of the Israel Ministry of Science and Technology. Professor Weihs is a member of the Israel Academy of Sciences and Humanities (IASH), foreign member of the United States National Academy of Engineering (NAE), fellow of the American Physical Society (APS), the 2011 recipient of the Honorary Doctorate from the Ben-Gurion University, the 2015 awardee of the Israel Ministry of Defense (MOD) Creative Thinking Prize and the 2016 recipient of the Outstanding Contribution Award of the International Society of Bionic Engineering. Professor Weihs is also the Chairman of the Israel Interuniversity Marine Science Institute, a member of the Board of Directors at TEUZA-Fairchild Venture Capital and a member of the Advisory Board of the Global Drucker Management Forum. His main research interests are robotics, aerodynamics, bioengineering, space exploration and policy research. Professor Weihs has published over 160 scientific and engineering peer-reviewed articles, lectured in over 130 national and international events, has co-authored several issued and pending patents and is the awardee of one postage stamp. Daniel L.Farkas, PhD – Member of the Board of Managers. Is a Theoretical Physicist holding a PhD in Biophysics from the Weizmann Institute in Israel, where he was the honoree of the Yashinsky Prize, EMBO Fellowship, UNESCO Fellowship and Aharon Katchalsky-Katzir Award. Dr. Farkas was a Fulbright Scholar, conducting research at UCSD and U. of Washington and a Fulbright lecturer at UC Berkeley. He joined Carnegie Mellon University in 1989 and led a National Science & Technology Center (1996-2002) that received the Smithsonian Award for Science, while also Professor of Bioengineering at the University of Pittsburgh. In 2002 he joined Cedars-Sinai Medical Center in Los Angeles as Vice-chairman for Research & Director of the Minimally Invasive Surgical Technologies Institute, and Professor of Surgery & Biomedical Sciences. Dr. Farkas is currently Research Professor of BME at USC. His interests center on the investigation of the living state with light, for applications in biology, biotechnology, BME and medicine. Biophotonic Imaging is his main technology focus area, with primary applications in minimally invasive surgery, regenerative medicine and especially innovative cancer and neuroscience research, pursued at the mesoscopic level. His work has resulted in more than 200 peer-reviewed publications and 32 books edited, supported by $80M government funding. Dr. Farkas has chaired 34 international scientific conferences, is on the Executive Committee of the Biomedical Optics Society, served on 11 journal editorial boards, 20+ NSF panels and NIH Study Sections, and on scientific advisory boards of national research centers, international organizations, high-tech and biomedical companies. He was awarded the Automated Imaging Association Award for Scientific Application, the Sylvia Sorkin Greenfield Award, American Association of Physicists in Medicine, and elected President of IMLAS, an international surgical society. Recently he was named Global Good Fellow by Bill Gates to work on advanced technologies for addressing Third World challenges. Dr. Farkas founded ten successful high/bio-tech startups, three acquired by larger companies and one currently on the NYSE. 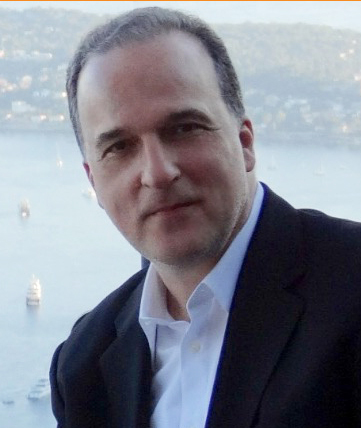 Andrei M. Manoliu, PhD, JD – Member of the Board of Managers. Is an expert in structuring complex licensing, commercial and strategic deals, forming, financing and staffing high-tech and Internet ventures. He is the Managing Director of GrowthPlans LLC (founded in 2000), an independent business and financial consulting firm for emerging growth companies where he co-founded several medical device and drug discovery start-ups. Prior to founding GrowthPlans, Dr. Manoliu served as an attorney with Cooley LLP, recently appointed as a senior partner. At Cooley, he specialized in business and securities matters, leading client teams in private and public offering transactions, mergers and acquisitions and strategic technology transactions. Cooley LLP is an international law firm that represents 35% of the US companies on the Wall Street Journal’s Billion Dollar Startup Club list; its attorneys worked on 140 life sciences corporate partnering and licensing deals since 2000 with an aggregate value of $38 billion. Since 2012, Cooley participated in over 1,000 M&A transactions for an aggregate value of $340 billion and is considered the number 1 law firm for tech and life sciences IPOs and the number 1 law firm in Fortune’s 100 Best Companies to Work For. Among Dr. Manoliu’s other activities and positions, he served as the acting Chief Executive Officer of Nanomix, Inc., a company focusing on the development of applications for novel materials and nanostructures and a leader in the development of mobile point-of-care diagnostics. He has served on the Board of Directors or Board of Advisors of several private and public companies, where he has contributed his considerable expertise in the formation and financing of such businesses as well as in the structuring of complex licensing, commercial and strategic arrangements, within the United States and internationally. He studied physics at the University of Bucharest, Romania, and received an MA (1975) and a PhD (1979) in solid-state physics from the University of California, Berkeley. He then completed his legal studies at Stanford Law School, where he was awarded a J.D. in 1982 and elected to the Order of the Coif, the national law graduate honor society.